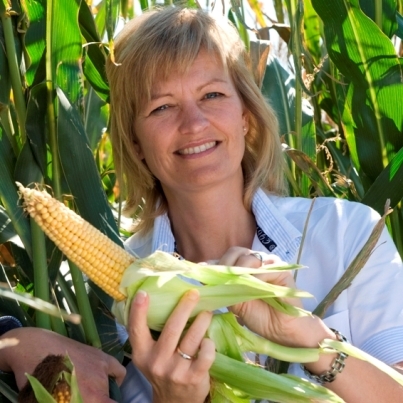 Former minister of Agriculture, Eva Kjer Hansen, predicts in 2009 a great future for GMO corn in Denmark. Four your laters the trials went wrong, data are kept secret and Monsanto has decided to withdraw GMO development and sales in most of Europe. As an organisation or company you can support us and get your logo on our sponsor page. If you need a confirmation on the amount, please write us on cird2012@gmail.com. Our accounter confirms that this is regarded as an expense for your company, if you get listed on our sponsor page. We run a crowdfunding campaign at Indiegogo. Spread the word around on your platforms. Look and donate here. As a private person, you can also support us by transferring money to our bank account or by clicking donate. Every contribution makes you respected as a support member of Investigative Reporting Denmark. Right now support members can only provide financial support, but later we will also need support on investigations and other practical work. Please sign up via this form to be sure we have all your information correct so that we can include you in our list of supporters and send you a newsletter. Money for six months of investigations and spreading of the findings. We will in this period then focus on agribusiness with stories on pesticides, MRSA and climate change. We failed in getting a big fund. We need money now for the next half year to continue to produce and publish investigative stories on our website. We count on other funding thereafter. We will work cross-border on investigations. Sometimes another center will coordinate, sometimes we will do coordination. We will gather information using traditionel methods and from new sources as data and social media. We will publish our stories for free on the web and for mobile platforms. We will try to figure out another way to continue. We don’t have the answer yet. We will then speed up the process. And we will do more investigations. We are especially working on projects to coordinate investigations in climate change and environment with good journalists in centres in other countries. We also prepare projects in health and on whistleblowers. It is very hard, if not impossible, for individual journalists to do revealing stories. Typically, you are up against massive departments of communications staff and political and economic pressure, so you need an organization to back you up, to give you the power nobody has on their own. Every country needs a centre. Some countries need more than one, for instance US. Investigative journalism is declining in the old media. We really need a network of centres round the world to do more cross-border investigative journalism and documentation on important stories – and to develop new methods and ways to spread the information. Some media do some, but the need is huge – and growing. See also this background description of our view on the situation in Europe. We focus very much on environment and climate change. Here there is a special need for cross-border investigations. It’s part of a blind spot for traditional media. We will also investigate other important areas such as health, organised crime, corruption, sport – often in cooperation with other centres or traditional media. The purpose is not to build a fully working news service in investigative journalism or on the specific topics, that we investigate. We publish when we have something to contribute. And then we link to stories from our collaborators. Yes, sign up as a support-member, and get a newsletter, help spread the word on our need for donations, spread our stories, come with tips and story ideas. We also especially need help from a web designer. We aren’t hiring right now. We don’t have money for that. The investigations that we are doing are also quite limited at the moment. But if you think you can help us out, please send an email. Just email us, and we’ll try to answer. We might also share the question and answer here later. Go to our crowdfunding campaign. An editorial board for Investigative Reporting Denmark have been selected by the board. The group on five members will work as a draft editorial board until they are formally elected at the next annual meeting.